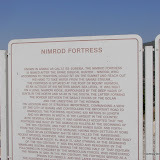 The experience continued, with a surprise side trip to Nimrod's Fortress. What a scenic spot the Golan Heights is ! 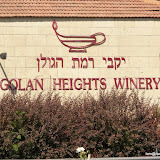 We also took in a tour of a Winery in the Golan Heights, wherein I may have been forced to relax my no alcohol policy :) Additionally, we went to Beit She'an.Again, I don't normally "dig" it, but it's a huge site. 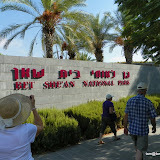 Remember that's where the Philistines hung King Saul's body...see 2 Samuel 21:12. The trip is almost half way through by this time, and my head is so full; I should have taken notes ! !